U.S. Federal Route 19 is a north-south highway in the State of Virginia. North of the City of Abingdon, in Washington County, most of U.S. Rt. 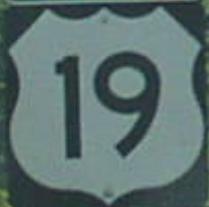 19 is a multi-lane divided highway all the way to West Virginia. Info on U.S. Rt. 19 is broken down by county below.